The major objective behind the JBIMS is to evolve an indigenous model of management education in tune with the contemporary demands of the Indian and the global environments. JBIMS has been rated among the top 25 business schools in the Asia-Pacific region and has been consistently ranked among the top 10 business schools in India. The proximity of Bajaj with the commercial hub of India — Nariman Point — is an added advantage. This translates into the symbiotic affiliation with the corporate magnets, equipping the students with business acumen to become tomorrow’s leaders. Besides the regular curriculum, students are involved in co-curricular activities like inter business school competitions, research projects conducted by the institute and are constantly interacting with the industry, thus strengthening their practical orientation and developing themselves into future business managers. MMS [MBA] Masters in Management Studies is the flagship course of Jamnalal Bajaj Institute of Management Studies, conducted as a university department of University of Mumbai. It is a two-year full-time post-graduate degree course in management with 120 students. Started as early as 1965, the course has been modified continuously and appropriately to suit the contemporary corporate world needs and has been able to nurture prominent leaders of the same. The institute offers specialisations like Finance, Marketing, Personnel, Operations and Systems in the second year of the MMS course. JBIMS select candidates for this course based on the entrance exam conducted by Maharashtra state (DTE) for MBA/MMS/PGDM courses. MSc (Masters of Science) in Finance course is structured to deliver a strong foundation in the principles and practice of finance. The objective is to help individuals enhance their effectiveness in finance. The MSc Finance course is designed to combine rigorous academic work with real-world relevance and practical application to ensure that content is intellectually demanding while being related to the practical world of finance. JBIMS select candidates based on Maharashtra MBA-CET entrance score or CAT score and GD/PI score. For NRI students, GMAT score will be accepted. The doctoral programme has facilitated substantial research and has produced several successful Ph.D. recipients. They have contributed extensively to a number of contemporary and relevant areas. JBIMS enjoys an advantage of being in the heart of Mumbai, the commercial capital of India. Being in South Mumbai, where many the financial companies’ headquarters are, it attracts senior management from the corporate world as guest faculty. 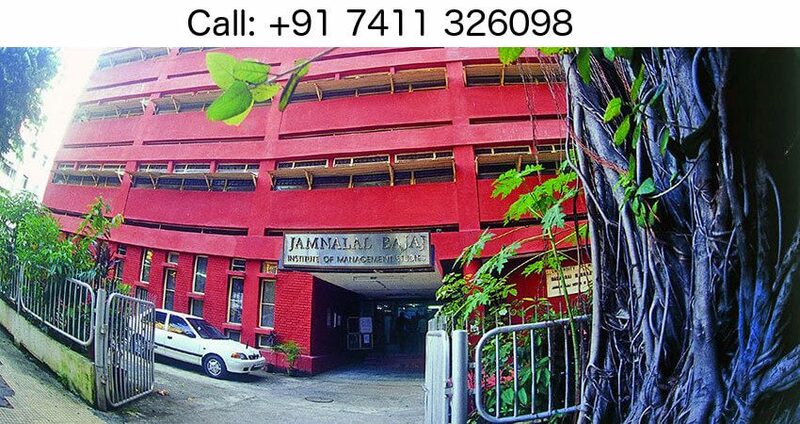 Mumbai University has allotted 1.77 acres land at its Kalina Centre for the new campus of Jamnalal Bajaj institute. The trianglular shaped campus will come up near the Vakola entrance gate on Hans Bhugra Marg and will be a short distance from BKC, Mumbai’s new finance hub. The campus will house the administration block and academic block whereas student accommodation, sports facilities and other campus infrastructure will be shared with the existing facilities at Mumbai university-Kalina Centre. My son wants admission in JBIMS in MMS though NRI quota. Her cousin sister is residing in Dubai who will sponsor her education. What is the procedure for admission and how much fee will be charged. The information contained on infodirectadmission.in website (the “Service”) is for general information purpose only. We assume no responsibility for errors or omission in the content of our service. Furthermore, we provider information on Management / NRI Quota for various educational institutions. That does not mean that all the colleges have management seats or subject to any authorization with us.